We know how much you love your pets, we love ours more than most people too! Chemicals in home cleaning products, room deodorizers, repellants, grooming, food and treats can have a very negative effect on our beloved animals. 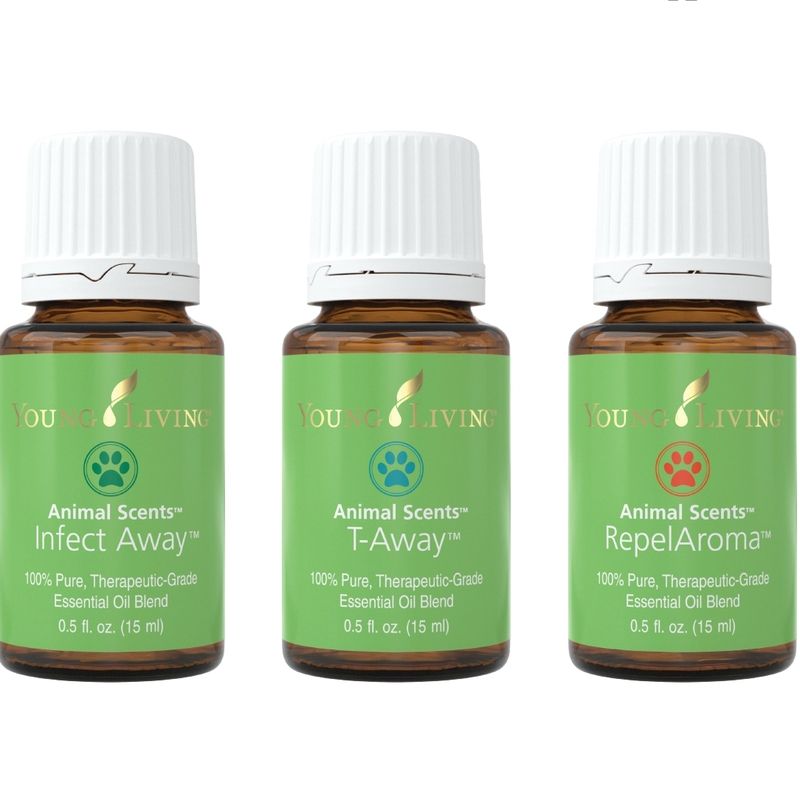 Guarantee their safety and support longevity with Therapeutic Grade Essential Oil based pet care. Sadly, when we clean our home with conventional cleaners, use scented candles, plugins on the wall or use perfumes on our bodies, we are unknowingly exposing our pets to extremely harsh, toxic chemicals. These chemicals have been linked to many alarming diseases in household animals at young ages. Is your pet struggling with skin, mood, organ or joint issues? 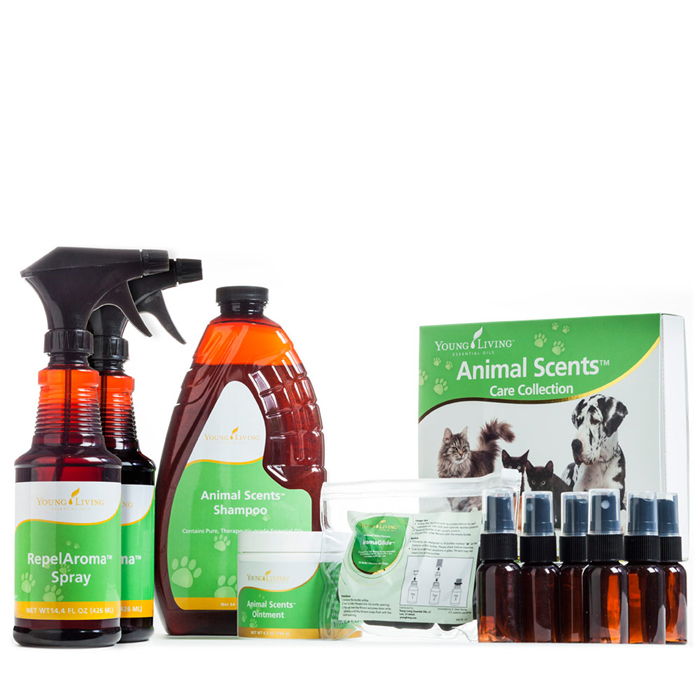 Young Living’s Animal Scents Oil Collection, Shampoo, Ointment, Repellant and Dental Treats allow you to care for your animal with the safest products. 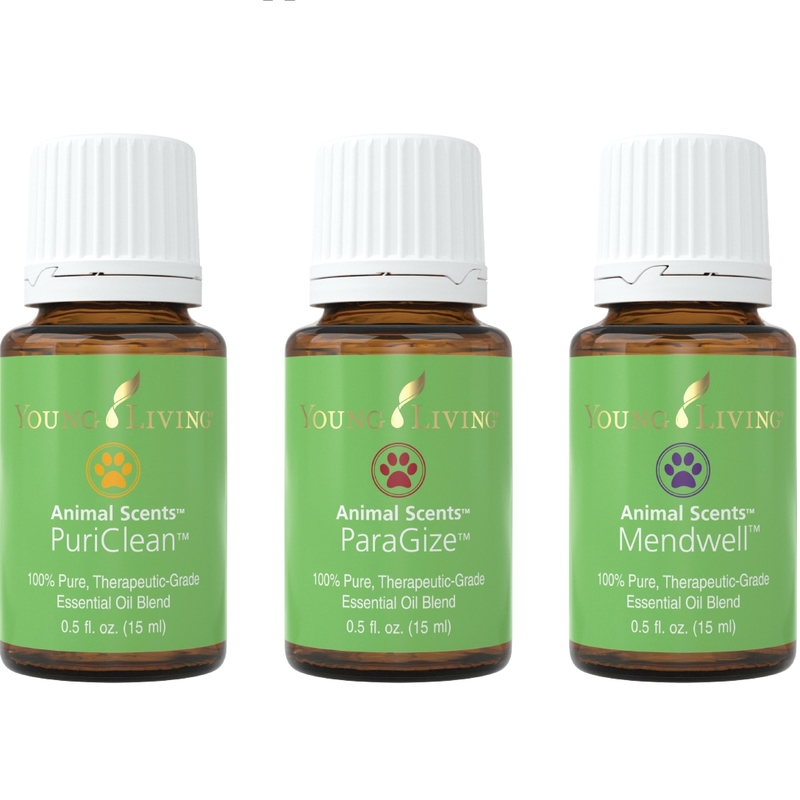 The Animal Scents Collection uses the same high quality, Therapeutic Grade Essential Oils produced for human wellness and system support. It’s never to late to start healing your pets with Young Living! Check out the YOUNG LIVING 2017 PRODUCT GUIDE to see a feature on all of the uplifting therapeutic essential oils they craft just for us. Curious about how to order? Lets Get Started Now!